Trout fishing on the Kenai Peninsula is growing in popularity as more and more people have come to recognize the abundance and size of these trophy fish. The catch and release fishery is fun and exciting and fly fisherman and traditional anglers look to it for variety in their sport. Key Facts & Trivia: There isn't much about Alaska that isn't big. 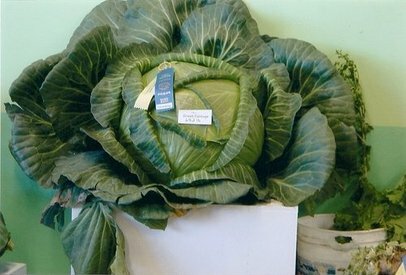 With up to 22 hours of sunlight during the summer months, giant vegetables - such as the nearly 126 lb world record cabbage grown in 2009 - are common every season. 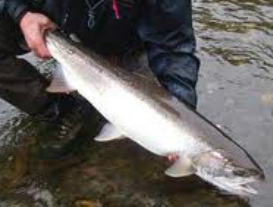 Large numbers of Rainbows inhabit The Kenai River and its feeder streams. Unlike Rainbows found in most other parts of the world, these behemoths grow by stuffing themselves on salmon eggs and flesh and decaying carcasses. Uniquely painted beads of various sizes "matching the hatch...i.e.the spawn” along with flesh flies are the primary lures for Rainbows. Fishing season begins in mid June and runs through September. 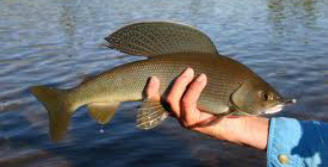 Grayling are unusual looking fish that live in only a few of the Kenai Peninsula's lakes and rivers. Grayling are instinctive feeders that will easily sip in a dry fly. Many anglers choose to try their hand at Alaska's Grayling fishery because so few fisherman can claim to have caught one. Why not make a hike-in fishing trip part of your package?